Dr. Shnurr is Executive Director of the VA National Center for PTSD. She is Professor of Psychiatry at the Geisel School of Medicine at Dartmouth. She has written or co-edited over 200 chapters, books, and journal articles. 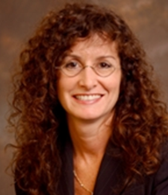 Dr. Schnurr is editor-in-chief of the Clinician’s Trauma Update-Online. She also is a Fellow of the American Psychological Association and of the Association for Psychological Science, past-president of the ISTSS, and former Editor-in-Chief of the Journal of Traumatic Stress. Dr. Schnurr published one of the earliest studies of PTSD prevalence in large sample of non-treatment-seeking veterans and was instrumental in facilitating understanding of the treatment of PTSD and advancing clinical trial methods in psychotherapy. She conducted the first VA Cooperative Study focused on women and the first study of treatment for PTSD in female veterans and soldiers. Dr. Rothbaum is a Professor in the Department of Psychiatry and Behavioral Sciences and director of Emory’s Veterans Program. 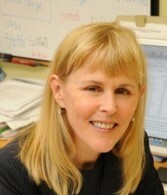 She is also director of the Trauma and Anxiety Recovery Program at Emory University School of Medicine. 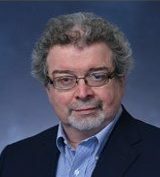 Dr. Rothbaum specializes in research on PTSD, has served as a Blue Ribbon Panel Member for Pentagon officials since 2009 and serves on the committee for the Institute of Medicine’s (IOM) Study on Assessment of Ongoing Efforts in the Treatment of Post-Traumatic Stress Disorder (PTSD). Author of over 200 scientific papers and chapters, Dr. Rothbaum has published four books on the treatment of PTSD. She has served on the Board of Directors and is past president of the International Society of Traumatic Stress Studies (ISTSS) and served as Associate Editor of The Journal of Traumatic Stress. Dr. Rothbaum is currently on the Scientific Advisory Boards for the Anxiety Disorders Association of America (ADAA), the Obsessive Compulsive Foundation (OCF), the National Center for PTSD (NCPTSD), and McLean Hospital of Harvard University, and on the Board of Directors for ADAA. Dr. Liberzon is Professor of Psychiatry, Psychology and Neuroscience and head of the department of psychiatry at Texas A&M College of Medicine. Previously he served as the head of PTSD program at the University of Michigan and Ann Arbor VA and as co-founder of Trauma, Stress, and Anxiety Research Group (TSARG). His research is focused on investigating the functional neuroanatomical pathways in PTSD. He is a Fellow of American College of Neuropsychpharmacology, served as a president of Psychiatric Research Society, and editorial Board member for leading journals like Biological Psychiatry and Neuropsychopharmacology. Dr. Liberzon has mentored multiple doctoral candidates, post-doctoral research fellows and junior faculty members, has published over 150 articles, and has authored and edited several book chapters and reviews including: Brain Imaging Studies of PTSD in the International Handbook of Human Response to Trauma and Neuroimaging in Post-Traumatic Stress Disorder in Post Traumatic Stress Disorders. Dr. Ma is a Macintosh Professor of Anesthesia and the Head of Anesthesia Research at the Imperial College of London. He is a well-recognized opinion leader in the field of xenon research, who has published extensively and has discovered a numbers of previously unknown therapeutic properties of this noble gas. 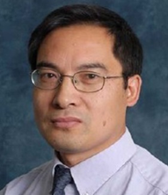 Dr. Ma received his MD degree in China and his PhD at the Imperial College of London, and is the recipient of 3 postdoctoral fellowships, including University College London, Duke University and ICL, where he and his co-workers were first to discover the neuroprotective properties of xenon gas. He has more than 180 publications in high impact peer reviewed journals covering research fields of Anesthesiology, Pharmacology, Neuroscience, Neurology and Nephrology, and is a holder of two international patents. 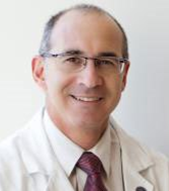 His main research interests are organoprotection, postoperative cognitive dysfunction, cancer and pain. Dr. Ma’s research has been supported by the grants from MRC, Alzheimer’s Society-Bupa Foundation, BJA/RCoA, AAGBI, Westminster Medical School Research Trust, Action Medical Research and SPARKS, UK and European Society of Anesthesiology, Brussels. He is a regular invited reviewer for over 50 peer reviewed journals. He is a co-inventor on the Company’s patent on the use of noble gases in treatment of Alzheimer’s disease. Dr. Arnold is a Professor and a Translational Neurology Head of the Interdisciplinary Brain Center at Massachusetts General Hospital at Harvard University. Prior to that Dr. Arnold was a Professor of Psychiatry and Neurology at the University of Pennsylvania. After receiving his B.A. and M.D. degrees from Boston University, Dr. Arnold completed residency training in Psychiatry at the New York State Psychiatric Institute / Columbia Presbyterian Medical Center in New York and residency training in Neurology at the University of Iowa Hospitals and Clinics in Iowa City. He also completed fellowship training in Behavioral Neurology /Cognitive Neuroscience and was a post-doctoral associate in Neuroanatomy in Iowa. Dr. Arnold is board certified in both neurology and psychiatry. While at Penn, Dr. Arnold was Director of the Penn Memory Center of the University of Pennsylvania Health System, Associate Director and Clinical Core Leader of the Alzheimer’s Disease Core Center, Director of the Geriatric Psychiatry Section in the Department of Psychiatry, Director of the Cellular and Molecular Neuropathology Program in the Center for Neurobiology and Behavior, and Associate Director of the University of Pennsylvania’s Institute on Aging. Dr. Arnold has authored more than 250 scientific articles and his research has garnered numerous awards. 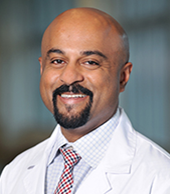 Dr. Kesari is the Chairman of the Department of Translational Neuro-Oncology and Neurotherapeutics at the John Wayne Cancer Institute and Director of Neuro-Oncology at Providence Saint John’s Health Center. An internationally recognized scientist and clinician, he is ranked in the top 1% of neuro-oncologists and neurologists in the United States by Castle Connolly Medical Ltd.
Dr. Kesari graduated from University of Pennsylvania’s School of Arts and Sciences in 1992 and received a PhD in molecular biology and an MD from the University of Pennsylvania’s School of Medicine. He completed his residency in neurology at the Massachusetts General Hospital, Brigham and Women’s Hospital and Harvard Medical School, and his neuro-oncology fellowship at the Dana-Farber Cancer Institute in Boston. He was an assistant professor of neurology at Harvard Medical School, Dana-Farber Cancer Institute and Brigham and Women’s Hospital and later professor of neurosciences at the University of California, San Diego. He is on the advisory boards of the American Brain Tumor Association, the San Diego Brain Tumor Foundation, Chris Elliott Fund, Nicolas Conor Institute, Voices against Brain Cancer and the Philippine Brain Tumor Alliance. Dr. Kesari is a co-inventor on the Company’s patent on the use of noble gases in post-radiation neuroprotection.